PC computer and LCD display any size you need! TEK PANEL® explores the application of all-in-one flat panel technology and integrated display systems through an array of fields. 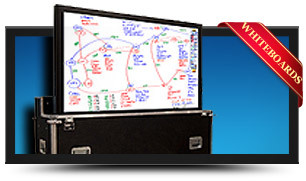 › WHITEBOARD SOLUTIONS › MILITARY Questions? Completely customizable, each Tek Panel® can be configured to your performance, environmental and design requirements. Currently available in 19", 24", 32", 37", 42", 46", 55", 56" and 70" display sizes. All of our units are available with an optional touch screen. Tek Panels are built with brand name components, highly customizable, and are assembled and supported right here in the U.S.A. 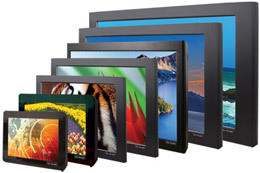 Available with several touch screen options, our displays are designed with adaptability and future upgrades in mind. Whether your market is education, medical, or military, the latest multi-touch or rugged single touch technologies are all available for you. Our ability to build you the system you want is what sets us apart from anyone else. 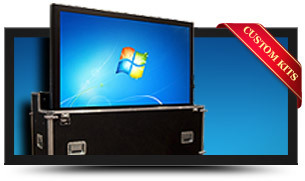 Call us today at (630) 466-7664 and have us configure and build your Tek Panel® all-in-one PC!